↑ "Pasteur, Louis - Biographical entry - Encyclopedia of Australian Science". eoas.info. Retrieved 23 March 2010. ↑ James J. Walsh (1913). 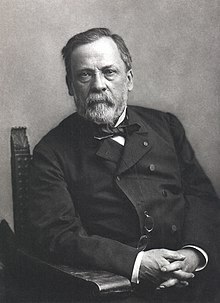 "Louis Pasteur". Catholic Encyclopedia. New York: Robert Appleton Company.